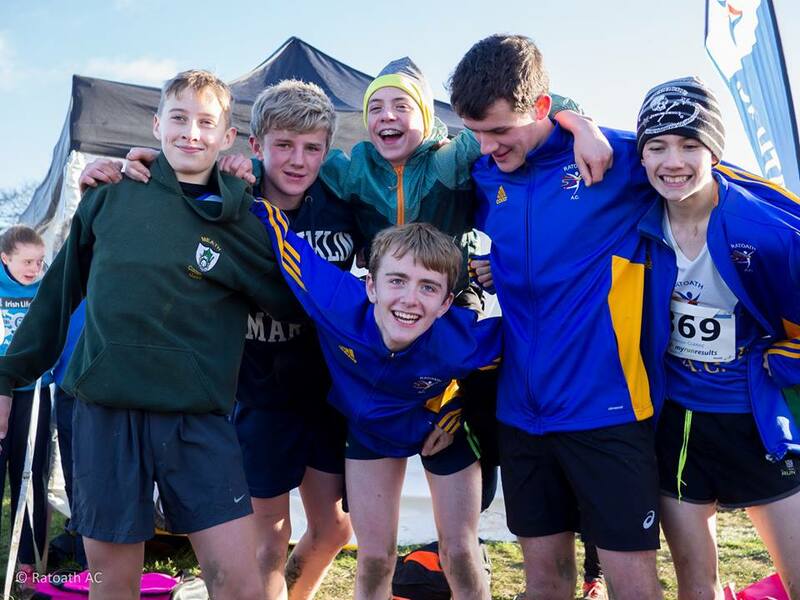 We had our best year ever at the recent Leinster Cross Country Championships with a record number of team and individual medals over both weekends. Navan and Meath Athletics hosted the even age championships on day 1 on a testing course but with good under foot conditions. Our u12s got the day off to a good start with both the u12 boys and girls qualifying for Nationals on Meath County teams, the U12 boys team finishing 3rd and U12 girls team 4th. Well done to our u12 qualifiers James Kelly, Fionn Heffernan, Harry Bogan, Sarah Forde, Cara O’Sullivan, Eline Lunde, Kate Raftery, Caoimhe Fitzsimons and Niamh Murphy. Our U14 girls were in great form again and defended their Leinster title in style taking gold with a great team score of 57 points, great running from Aimee Doherty, Amelia Campbell , Laura Smith, Laura Kelly, Aisling Stratford, Hannah Keogh, Amy Forde & Aobh Forde. The Meath County team finished a close 2nd to Kilkenny with Aimee, Amelia, Laura Smith and Laura Kelly placing in the top 6 for Meath. Individual medals also and qualification to the Leinster Team for Aimee and Amelia finishing 6th & 9th. 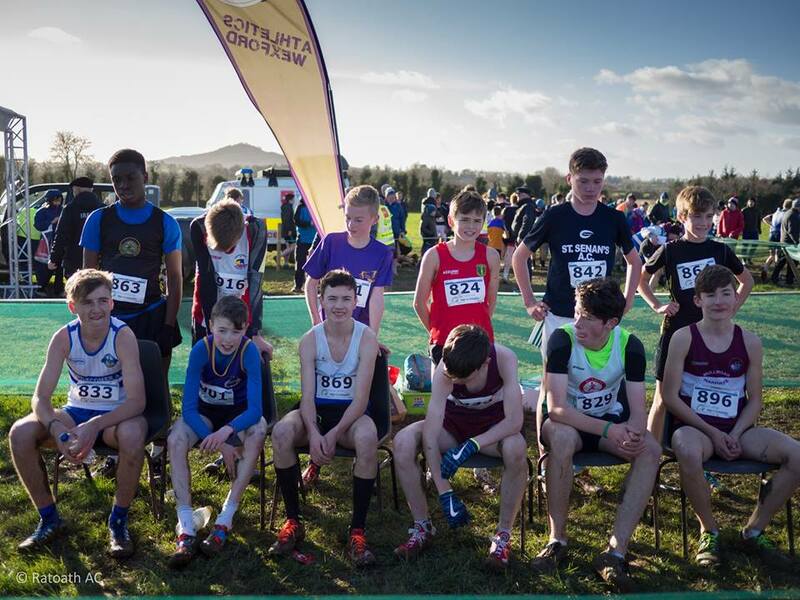 Kyle Witter & Eoin Kane also qualified for Nationals as part of the Meath team that that finished 4th , with Eoin having a great run out of age to finish 32nd. We were unable to field club teams at u16 level but we had some outstanding individual performances from Marcus Clarke and Hannah Slattery who took home individual medals and secured qualification to the Leinster team finishing 7th and 10th. Matthew Hayes and Stephen Kiernan put in a good run also and with Marcus were part of the Meath team that finished 2nd. Day 2 of the Leinster Cross Country Un-Even Age Championships took place at Adamstown, Wexford. This course was not for the faint hearted with very difficult underfoot conditions that tested athletes to the limit. 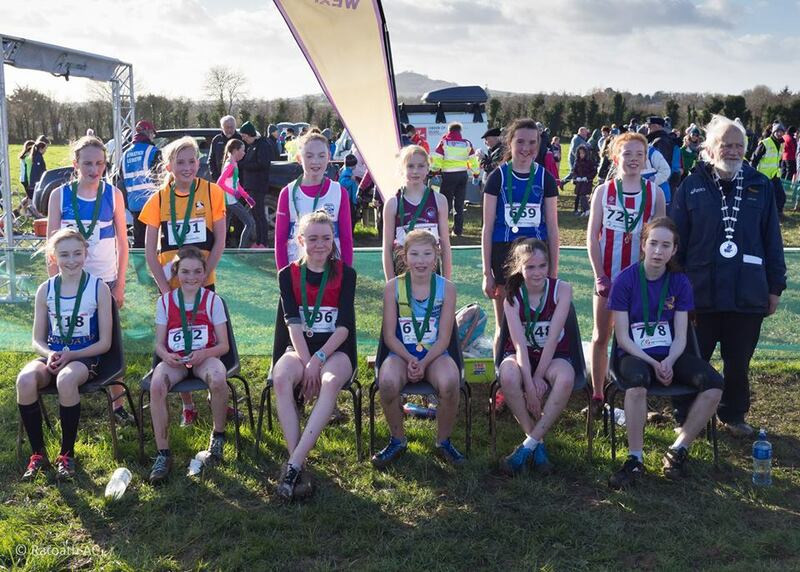 Our u11 girls got their first taste of Leinster Championship running and put in solid performances, well done to Sophie Coroner, Sophie Finn, Amelia Holland and congratulations to Katie Doherty and Mary Kate Prior who qualified for Nationals as part of the Meath team that finished 4th. 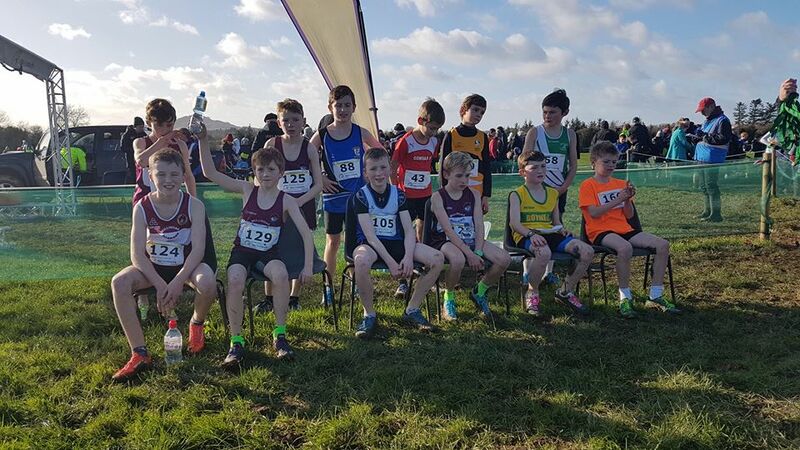 Our u11 boys showed no fear at this level, James Kelly loving the mud, putting in a fantastic run to finish 3rd with Harry Bogan unlucky to finish just outside the medals in 14th. Fionn Heffernan, Gavin Witter, Liam Walsh and Conor Walsh along with James and Harry took home Club team bronze to secure their place for Nationals in December. James and Harry also placed on the Meath team that finished 2nd. 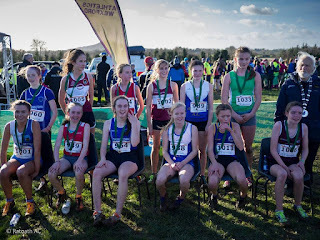 More great performances were on the way with Sophie Quinn taking Gold in the U13 girl’s event and Club silver joined by Laura Kelly, Aisling Startford, Hannah Keogh, Amy Forde, Aobh Forde and Emily Slattery. 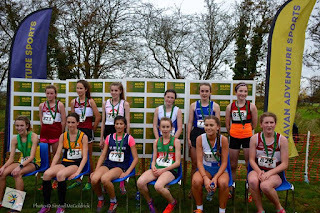 Sophie, Laura and Aishling were also part of the Meath team that finished 1st. We were one man short to field an u13 boys team, Eoin Kane, Stephen Walsh and Sam Carey put in good runs but didn't make the All Ireland this year. With some great individual and team performances from the younger age groups our u15 teams were now under pressure to deliver, and they certainly did. The u15 boys were desperately unlucky not to take gold in the club team event missing out by just one point, Marcus Clarke led home the lads with a great individual run finishing 3rd, followed in by Matthew Hayes, Tom Kilgannon, Oisin Kelly, Stephen Kiernan and Kyle Witter. Marcus and Matthew were no. 1 & 2 for Meath that took bronze in the County event. Aimee Doherty put in her best performance to date at a Leinster Cross Country Championship finishing 4th and was followed in by Hannah Slattery 11th, Amelia Campbell 17th and Laura Smith 30th, the girls finished 3rd in the club team event, a great performance with 3 of the team out of age. 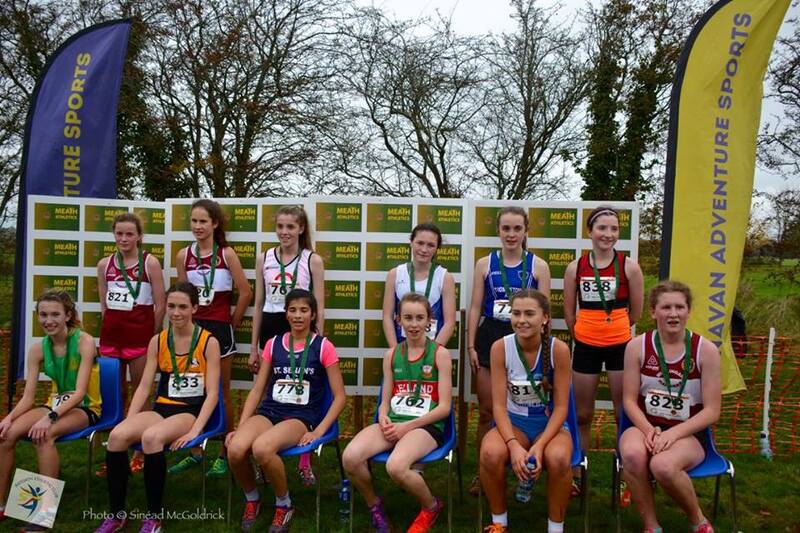 The four girls also placed in the top 6 for their Meath County team that finished 3rd. Well done to all athletes who competed over both weekends and congratulation to all athletes who have qualified for All Irelands in Abbottstown and Waterford.